Description: Here is a 4-set Venn diagram colored in beige and orange. It features alternate colors in the sets and intersections. Edit the format and have your details placed neatly in the spaces and edit the format to match your taste. 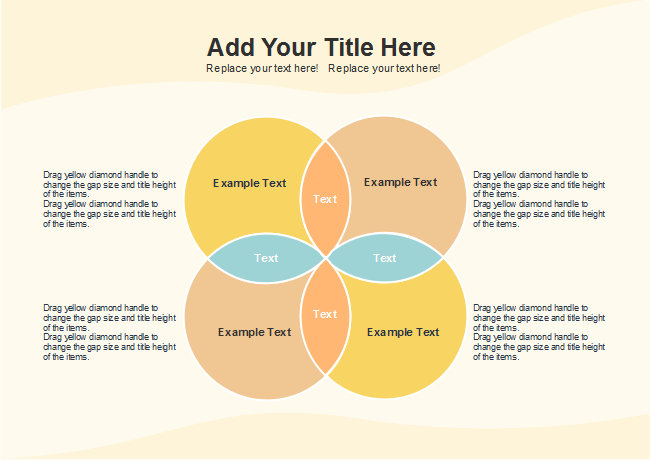 Design a fancy and effective Venn diagram with our massive high-quality presentation templates. Support team cloud so thatyou can easily edit and collaborate with your co-workers.